When the temperature drops outside, the first thing people do is start closing up their homes. Windows and doors are shut and locked, and sometimes weatherproofing products are used to ensure they remain sealed. While this does a good job of keeping air and heat inside the home to combat the cold outside, it can be quite harmful to the home’s interior — and for human health. When a home is “closed up” for winter, the air inside is effectively stagnated. This traps moisture inside (which can cause mold and infrastructure rotting), which is especially troubling when there are multiple occupants creating extra moisture by breathing, bathing, cooking and exercising. In addition, stagnant air contains stagnant odors and traps harmful particles like germs, microbes and dust mites. To compensate for stagnated air, it’s important to create air movement in the winter months using ceiling or floor fans. The next thing people do in extreme cold temperatures is turn on their home’s heating system. This has the tendency to dry the interior out, and in doing so can encourage expansion and contraction of interior materials and cause cracks in drywall, doors that don’t fit, separating wood trim, heaved floors, and other problems. Basements and older homes are especially vulnerable to this. Many homeowners might have furnace humidifiers, which were designed to counteract the dry conditions created by the heating system. However, be careful about how high these are set since they can add to and make worse the moisture problem already created by stagnant air. In extremely cold exterior temperatures, outdoor and indoor pipes can freeze, especially when they are surrounded by little or no insulation. Most exposed pipes in the average home are not insulated, which makes pipe freezing a real and common issue for homeowners in a place like Chicago that regularly sees freezing temperatures in the winter. 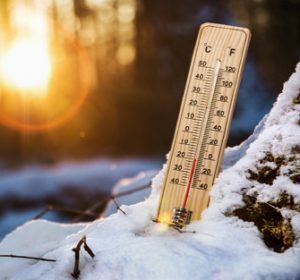 When temperatures drop below 32 degrees Fahrenheit, most homeowners are at great risk for frozen pipes. If the water in a pipe freezes, it will expand and obstruct water flow to the tap. Sometimes, the water will expand so much the pipe can no longer support its pressure. That’s when homeowners experience pipe bursting, which can be a costly and damaging emergency situation. We recommend installing pipe insulation (which isn’t very expensive or time-consuming) to avoid a serious emergency this winter. ServiceMaster Restoration By Simons is a MBE/WBE certified firm and family-run company serving Chicago, Oak Park, River Forest, and the North Shore. ServiceMaster Restoration By Simons provides disaster restoration services including Water & Flood Damage Restoration, Fire & Smoke Damage Restoration, Mold Remediation and a wide range of interior specialty cleaning including Hoarder & Clutter Cleaning, Post-Construction Cleaning, Carpet Cleaning and Upholstery Cleaning to residential and commercial customers residing in Chicago, Oak Park-River Forest and the North Shore. For more information, give us a call at 773-376-1110 or visit servicemasterbysimons.com. President of ServiceMaster by Simons, Nasutsa oversees the disaster restoration and specialty cleaning departments and handles all finance, compliance, and marketing at ServiceMaster. Nasutsa is a 2018 influential Women in Business Daily Business Herald Honoree, and a member of Crain’s Chicago Business 40 under 40.